While walking your pet around the block or in the park can ensure it gets some fresh air, this is not enough. Dogs love to be outside, breathing fresh air and being able to do whatever they want, so instead of keeping it inside the whole time or talking it for a short walk, it is best to leave it in your backyard or garden for as long as you can. If, however, your home doesn’t have a gate or fence, or it is one that can’t stop your dog from escaping, then you should probably consider the idea of installing an electric fence. 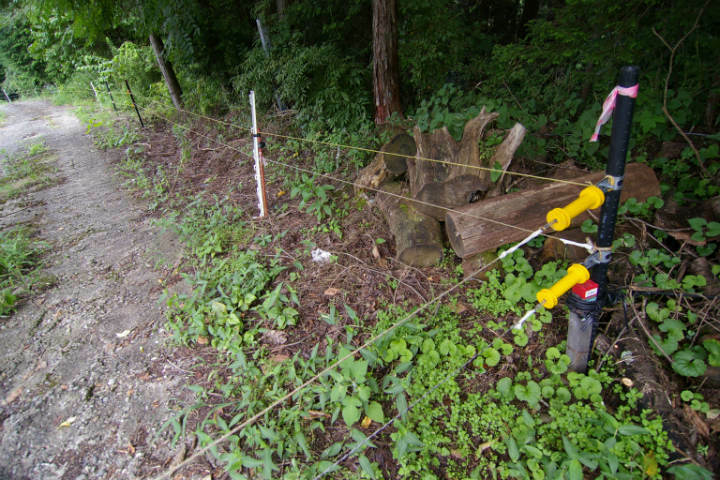 There are many reasons why investing in an invisible electric dog fence kit can be the ideal solution. The main purpose of these types of fence kits is to keep your dog safe as well as people who are scared by it. These types of fences usually contain a transmitter that can send an audio alert, static warning or a combination of both to your pet’s receiver collar once it gets too close to the border you have established. When it comes to the type, you can choose between invisible fences that use a wire buried into the ground or wireless ones that can detect when your dog is getting out of range thanks to the collar. The wireless ones use a radio transmitter and allow for a certain radius of movement within them. However, these types of fence kits are difficult to fine-tune and are not the best option if you want to keep your dog away from some specific areas, like the corner where you have planted flowers, for example. The in-ground fences, on the other hand, are more complex to install but can be easily customized making them ideal for gardens of any shape. This means that they can cover a larger radius of movement so you can easily control your dog. Most of the collars that come with this electric dog fence kit type are waterproof and some of them are even rechargeable. You will also get training flags that can help train your dog to know its safe zone. Generally speaking, these electric dog fences have various settings that can accommodate a wide range of dogs and the collars come in different models in order to meet the different dog sizes. Another important thing to remember is that if you have several dogs, it is best to look for a transmitter that can support multiple collars. Adjustable level of correction is also important as different dogs need a different level of correction. All these things can allow you to have more control over your dog while keeping your pet’s discomfort to a minimum.